Septum is the wall made up of cartilage and bony tissues situated inside the nose partitioning it into two equal portions. Perforated nasal septum can be caused by many reasons. Some of them are furnished below. Small perforation causes a whistling sound while breathing. Larger perforations show symptoms like heavy bleeding from the nose and breathing problems and overall discomfort. Small perforation in the septum can be easily treated by rinsing them with saline solutions. Lubricating jell can also be applied to the area. Surgery is the best option for closing the perforations and to restore the function and structure of the septum in the case of larger perforations. A number of surgical procedures are available for the removal of perforations in the septum. 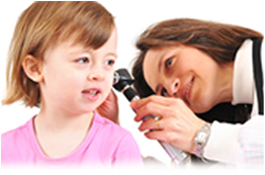 An ENT specialist will be the right person to decide the best procedure suitable for your requirements. In one procedure a tissue graft is taken from inside the nose or from another part of the body to fill the septal hole. This procedure is carried out under general anesthesia. This procedure can be done as a minimally invasive surgical procedure also which will be helpful in reducing the trauma and the recovery time. Large perforations are difficult to close and it needs expert medical care to complete the surgical procedure and find a permanent solution to the problems faced by the patient. Another non surgical treatment option is snapping of silicon plastic button on both sides of the hole. But this is not found to be a permanent solution as there is every possibility that the hole may continue to grow even after the attachment of the plastic button and it may fall necessitating additional treatments. After the surgery for the removal of the perforation, the nose will be packed with a splint for about one week. After removing the splint the patients are required to rinse the nose with saline water frequently throughout the healing process. Patients can return to work within two or three days after the surgery but care should be taken not to blow the nose or do strenuous exercise for a few days. Just like any other surgery there is a possibility of infection and bleeding in the surgery for the repair of septal perforations. Persistent headache, sever bleeding and fever are the complications that usually arises after surgical manipulation of septal perforations. If any such complications arise inform the doctor immediately.